The pitfalls of celebrity chefs taking the moral high ground on packaging, recycling and food related issues was illustrated yet again when several of London’s top chefs called for a ban on polystyrene packaging. In an open letter to London mayor Sadiq Khan, seafood restaurant Randal & Aubin’s founder Ed Baines joined with Hugh Fearnley-Whittingstall, Theo Randal, Mark Hix and food critic William Sitwell, asking for the material to be banned due to environmental and health concerns. The packaging industry was quick to hit back in the form of Martin Kersh, executive director of the Foodservice Packaging Association (FPA). Kersh, who took the opportunity to put the record straight, said expanded polystyrene (EPS) was 100% food safe, resource efficient and had excellent functionality. 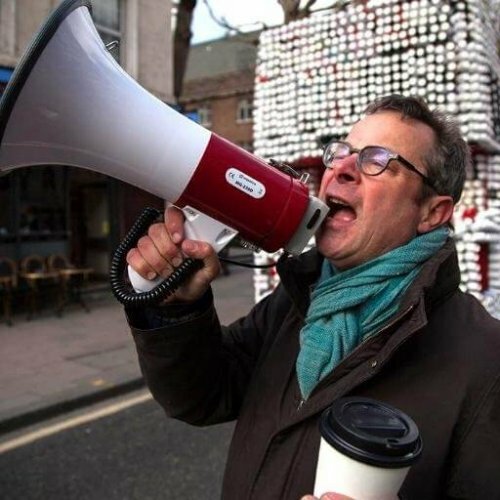 The call for the EPS ban was backed by Hugh Fearnley¬-Whittingstall, who recently revealed in his War on Waste TV programme the ‘shocking’ scandal that take-away coffee cups marked as being recyclable were not being recycled. As seasoned packaging PR experts, both these incidents reminded us yet again that well-intentioned celebrity calls for action about packaging recycling are often not based on an understanding of the facts. They are a re-run of the old argument that goes: there’s too much packaging, it’s wasteful and should all be recycled: something must be done! Yet again it ignores the vital role packaging plays in preserving and protecting food and reducing food waste. As specialists in packaging PR and marketing, we have argued many times in this blog, that the packaging industry needs to take a more co-ordinated approach to promoting the generic benefits of packaging in order to educate the public and policy makers about the vital role packaging plays in our lives. What’s more, food that is wasted and goes to landfill creates methane a greenhouse gas that produces at least 20 times more global warming than carbon dioxide. It also fails to understand that it sometimes requires more resources to recycle some packaging than can be saved by recycling. In such a situation, surely it’s better to concentrate on packaging that can be easily recycled such as steel and recover the embedded energy from packs such as single-use coffee cups. Whilst EPS and coffee cups should not be ignored, they are a small beer issue when compared to the issue of food waste. Three major WRAP studies estimate annual food waste arisings within UK households, hospitality and foodservice, food manufacture, retail and wholesale sectors stand at around 10 million tonnes, 60% of which could have been avoided. Whilst the celebrity chefs clearly feel passionate about EPS and coffee cups, they would be better advised to concentrate on reducing food waste in their restaurant kitchens if they want to make a real environmental contribution.